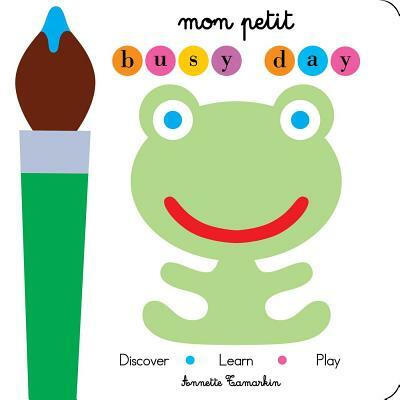 Introducing Mon Petit Busy Day, an oversized busy book with eye-catching art that lets little ones discover, learn, and play with first concept surprises. Mon Petit Busy Day features brilliant hands-on lessons that are perfect for curious readers who are preparing for Pre-K! Trace lines with your fingers to learn hand-eye coordination. Play a memory game with simple shapes hidden under lift-the-flaps. Learn left from right or up from down with moving tabs. Mon Petit Busy Day even introduces colors, counting, clocks, search-and-finds, and more! This busy book is filled with simple and engaging first concepts presented in a striking art style that will delight parents and children alike.